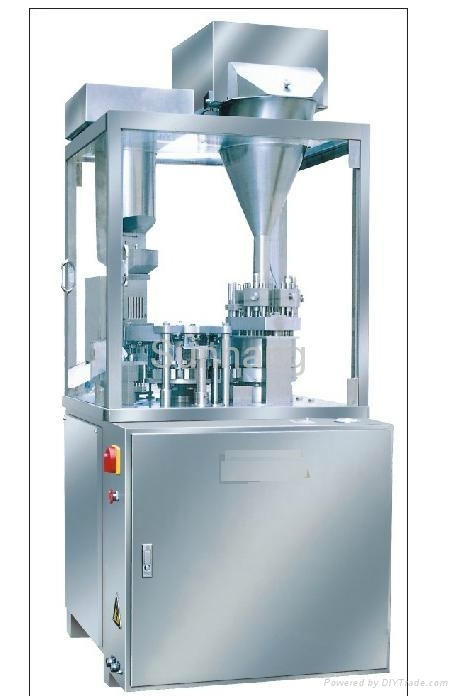 NJP-200, 400, 600, 800 model series automatic capsule filling machines are the advanced filling machines which are developed after absorbed many advantages of same kinds of machines inside and outside our country, which conform to GMP standard. 1. This machine runs as per automotive separating revert interval, feeding, removing useless caplets, clipping and coming capsule, cleaning mould are completed at same time, which has reached high precision an low noise levels. 2. With the automotive controlled, stepless speed adjusted digit display, the machine is easy to operate. 3. 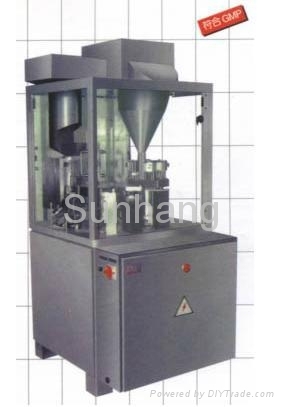 This machine is with good suitability, high frequency for filling Chinese and Western medicines. Which adopted more whole type working principal, exact calculating, the difference of packing are more advanced than its standard of governments. Which adopted more whole type working principal, exact calculating, the difference of packing are more advanced than its standard of governments pharmacopoeia. 4. It is equipped with safety-protection unit for people ad machine. It can be automatically stopped when the material used up it is good equipment for a manufacture producing capsules.